Chelsea FC retaliated and got their spot for the semi finals. 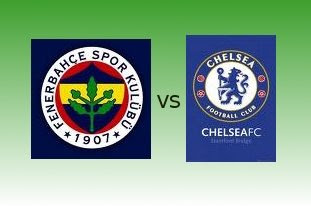 After the (2-1) defeat at Sükrü Saraçoglu - Istanbul, Chelsea FC retaliated and won their 2nd leg match against Fenerbahce SK at Stamford Bridge-London and got themselves a spot for the semi finals. Chelsea FC got a (0-2) result giving them a (2-3) win against Fenerbahce SK on aggregate. The 1st goal came in the early 4th minute of the game when Frank Lampard's free kick was headed by Michael Ballack and in to the top corner(0-1). Then the 2nd and closure goal came in the closing 87th minute of the game, delivered in closed range beautifully by Frank Lampard after receiving the low cross from Michael Essein(0-2). Michael Ballack's header which gave Chelsea FC the lead.